On the OneDrive User Voice blog, Microsoft Program Manager Casey Penk has confirmed that offline file access is coming to OneDrive for Windows Phone. While no official timeline was given on when users can expect this feature, the official-unofficial announcement is great news for Windows Phone users of the Microsoft cloud storage service. which allows you to have an offline copy of files on your PC. Thanks for the suggestion. We know offline access is important, and we intend to bring this feature to Windows Phone. We don’t have a specific timeline yet. What will be interesting is how this all shapes up in light of the changes coming to OneDrive in Windows 10. Today in Windows 8.1 you can select down to the file level which files you want offline while in Windows 10 this in-a-way reverts back to Windows 7 where you had to download all of your files on your PC. 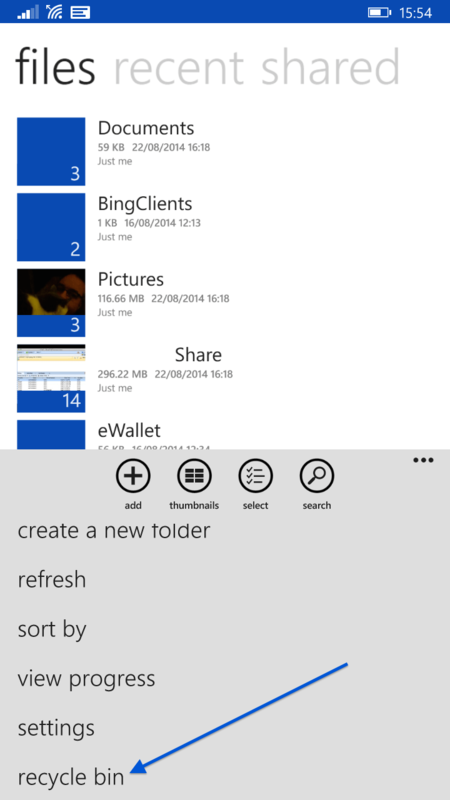 What are the implications for OneDrive for Windows Phone where space clearly is more limited? I suspect we will find that out later this month when more around Windows 10 is discussed in Redmond on January 21st.